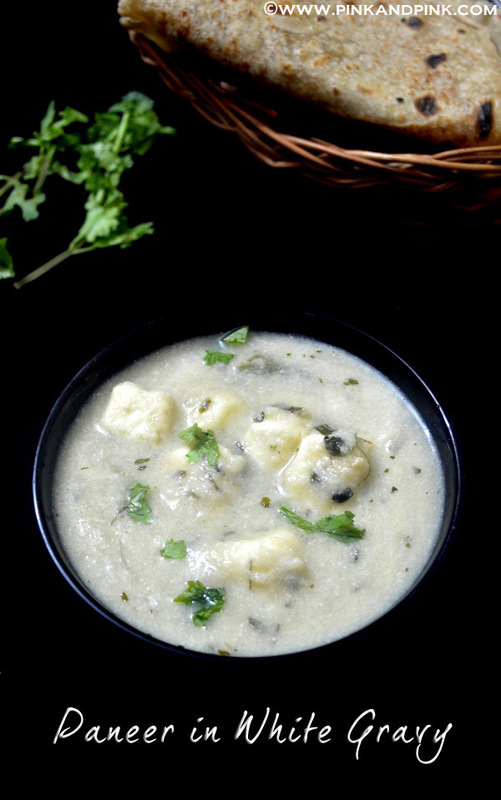 Paneer cooked in a delicious white gravy made with onion and cashew paste. I made this Paneer in White recipe gravy after referring several sites including Sanjeev Kapoor recipe. Many recipes were complicated and called to add more cashews to make rich white gravy. It might be good in case we are preparing for guests. But I wanted to keep the recipe simple which can be made any time without any complication. I did not want to add more cashews like 1/2 cup or 1 cup as many recipes called for. So, I made the white gravy in my own way. Though no recipe which I have referred has suggested adding Kasuri Methi, I added it believing that it would give a nice flavor. As expected, it gave a nice taste and flavor. Heat a pan and add chopped onions. Add little water and cook the onions till they turn soft. 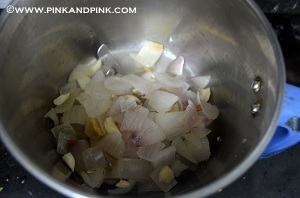 Grind the cooked onions, cashews, ginger and garlic in a mixie. Heat ghee or oil in a pan. Ghee is preferred for best taste. You can add butter too. Add green chilli, cinnamon, cloves, bay leaf and cardamom. Saute till the raw smell goes off. Add the ground paste to the pan and cook till the mixture gives nice aroma with no raw smell. Whisk the curd well. Switch off the stove. Add curd little by little and stir briskly. 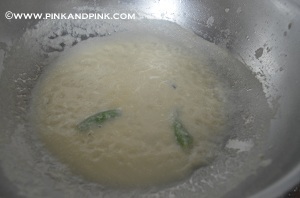 The curd should completely blend with the mixture and it should not get curdled. Add sugar and salt to taste. 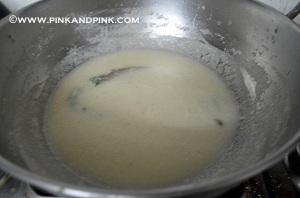 If the mixture is too thick, add water little by little to get gravy consistency. Cook in low flame till there is no smell of curd. Add paneer and kasuri methi leaves now. Mix gently and cook for 5 minutes in low flame. Add little water if you feel the white gravy is too thick. 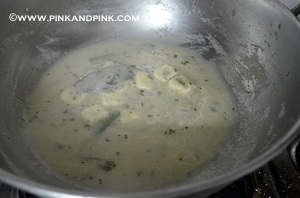 The white gravy will thicken further after you switch off the stove. So, add water accordingly. 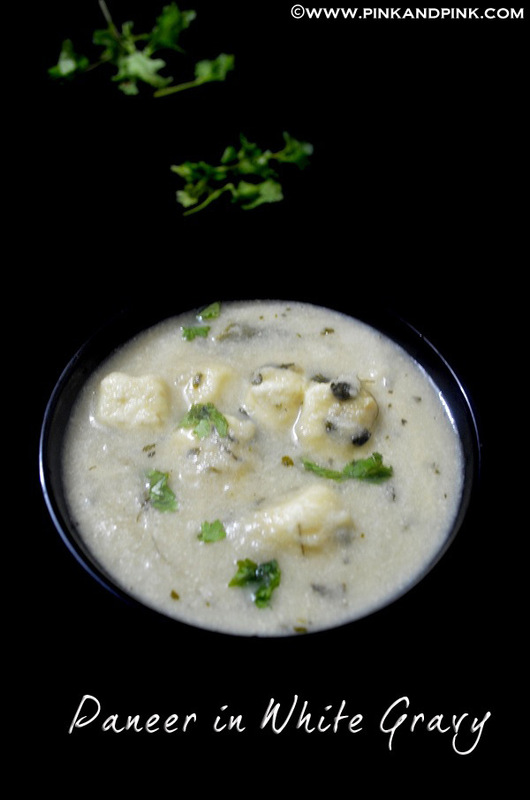 Switch off the stove and garnish the paneer in white gravy with coriander leaves. Serve hot with roti/chapathi. 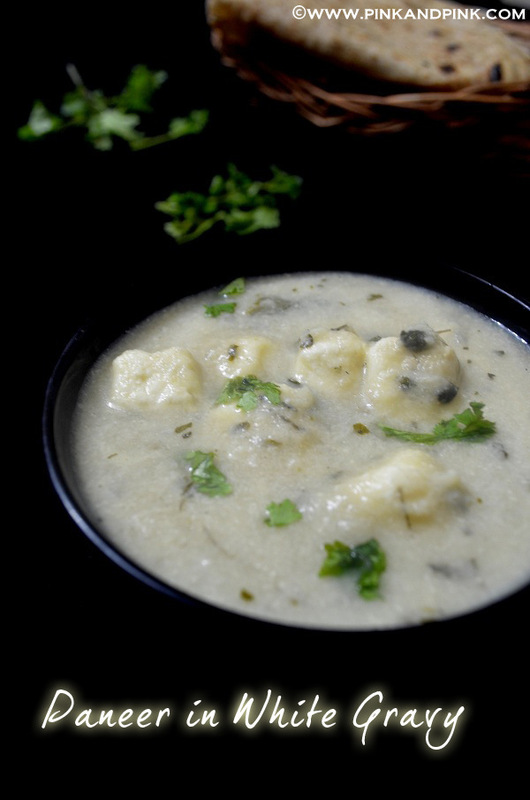 Hope you liked the paneer in white gravy recipe. Hope you liked the Paneer in White Gravy Recipe. Try it out and let me know how it comes. If you like this blog, subscribe with your email address and like us on facebook in the side bar to get instant updates on the posts. How do I save money every time I shop online? The site is copyrighted. Do not copy any content or images. Theme images by merrymoonmary. Powered by Blogger.